to the person who donated your unit of blood. All messages will remain completely anonymous. 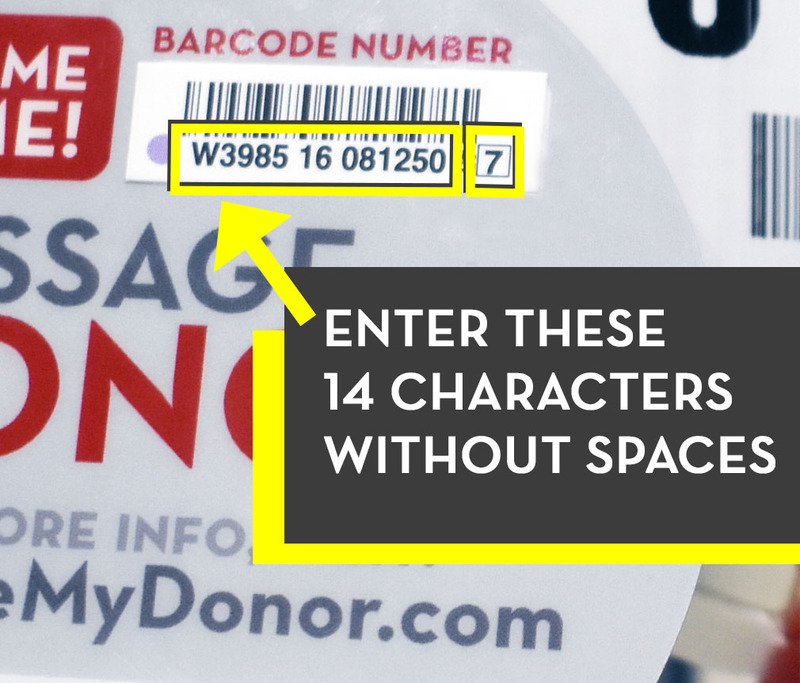 Enter the barcode number, located on the Message My Donor tag hanging from the right side of the blood bag. 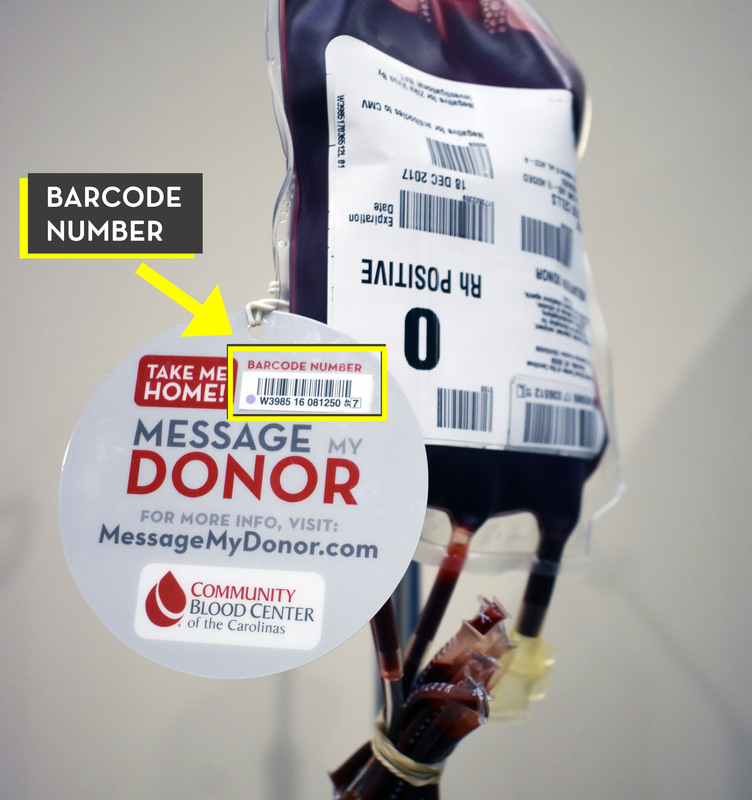 Type your message to the person who donated this unit of blood. There is a 900 character limit for the message field. Read the Terms below and check the box to agree. I hereby grant permission to Community Blood Center of the Carolinas (“CBCC”), its employees, designees, agents, independent contractors, legal representatives, advertisers, solicitors, successors and assigns the absolute right and unrestricted permission to (i) send my anonymous personal message of thanks to the donor of the unit of blood products I received, and (ii) use and distribute my personal message of thanks or any part of such message in activities related to events, advertisements, solicitations, newsletters, online and/or other promotional materials aimed to increase the number of people who donate blood. I hereby authorize CBCC to copy, exhibit, publish or distribute my personal message of thanks or any part of such message for purposes of marketing, advertising and publicizing CBCC’s services in connection with its Message my Donor Program, or for any other lawful purpose. My personal message may be used in printed publications, solicitations, multimedia presentations, on websites or in any other distribution media. I hereby waive the right to inspect or approve the finished product, including any written copy, wherein my personal message appears. I hereby waive any right to royalties or other compensation arising from or related to the use of my personal message. I hereby hold harmless and release CBCC, its officers and employees from all claims, demands and causes of action which I, my heirs, representatives, executors, administrators or any other persons acting on my behalf or on behalf of my estate have or may have by reason of this authorization. I understand and agree that my personal message of thanks will not be delivered to the donor of the unit of blood products if (i) the CBCC Quality Assurance Department determines, in its sole discretion, that the message contains inappropriate content, or (ii) I experience a negative reaction to the blood products I receive from CBCC within ten (10) days after receipt of the blood products. I understand that revocation of this release will not affect any action that CBCC has taken in reliance on this release before receiving my revocation. I further understand that because my information is submitted anonymously, I will need to provide CBCC with the date of my submission and a summary of its content so my submission can be quickly identified and removed from the Message My Donor Program. By checking this box, I hereby acknowledge and agree that I have read and understand the above Personal Message Release / Consent (this “Release”). I further authorize and consent to all such terms and conditions set forth in this Release. I acknowledge that I am of legal age and have voluntarily agreed to the terms of this Release. If I am under 18 years of age at the time of release / consent, my parent or legal guardian has read and understands this Release and by checking this box hereby he/she agrees to all the terms and conditions set forth above. Stories like yours can be powerful tools to help raise awareness about the need for blood donations. Hearing a first-hand account of the impact blood products have in the treatment and recovery of patients in our local hospitals can truly make a difference in our community. Will you share your story? A representative of CBCC would love to speak with you and discuss the details of this opportunity. Hit the submit button to send your message! Donate blood or platelets if you are eligible. Each donation made with Community Blood Center of the Carolinas can impact the lives of up to three local patients in need. 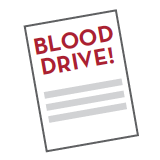 By hosting a blood drive, you can help an even greater number of local patients! Host a drive in honor or memory of a loved one and make the event even more special. Tell your friends, family members, co-workers and neighbors about the importance of donating blood to help local patients. Ask them to give if they are able or to share with others. You can help save lives in our community by sharing the impact blood donation has had on your own life or on the life of a loved one. Become an ambassador for blood donation and make a difference. These are just a few of the inspirational local patients who have shared their stories to help raise awareness of the need for blood donations.